Butternut squash is medium to large in size and has a bell-like shape with a long neck attached to a bulbous end. The smooth skin is very thin, light tan, firm, and is connected to a light brown, rough stem. The long neck of the Butternut squash contains a solid orange, dense, and moist flesh and in the bulbous end, there is a small hollow seed cavity with stringy pulp and a few flat, cream-colored seeds. When cooked, the flesh of the Butternut squash becomes tender and offers a mild squash flavor with sweet and nutty nuances. Butternut squash is available year-round, with peak season in the fall through winter. Butternut squash, botanically classified as Cucurbita moschata, is a winter squash that grows on a trailing vine and is a member of the Cucurbitaceae family along with gourds and pumpkins. 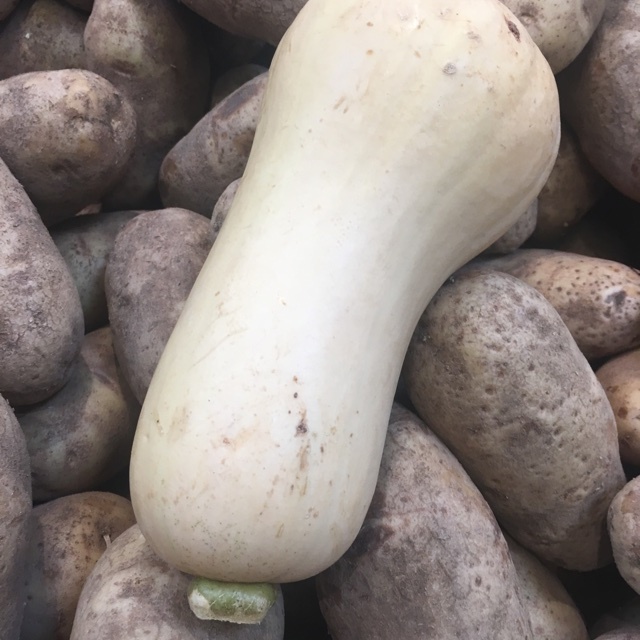 A relatively new variety, the Butternut squash we know today is the result of years of crookneck squash breeding to produce a variety with a more compact size, straight-necked trait, and stackable capabilities. Butternut squash is one of the most popular modern varieties on the market today and is valued for its thin, edible skin, dense flesh, and small seed cavity that produces little waste in cooking. It is also classified as a fruit but is commonly prepared as a vegetable and can be used in a wide variety of culinary applications. 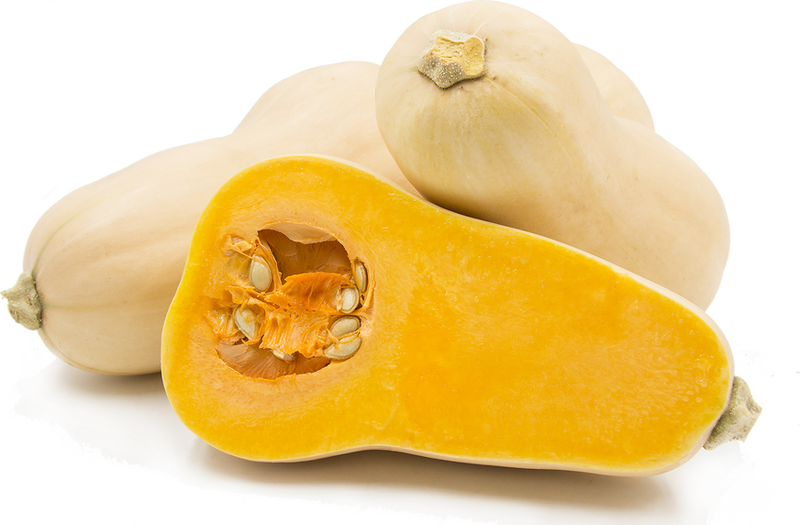 Butternut squash provides vitamins A, C, and E, manganese, potassium, iron, soluble fiber, and magnesium. Deep orange colored squashes such as the Butternut are also rich in beta-carotene. Butternut squash is best suited for cooked applications such as roasting, toasting, steaming, sautéing, baking, braising, and grilling. It can be sliced into rounds, wedges, or cubes and added to curries, chili, soups, stews, risotto, a filling for tacos, enchiladas, empanadas, and ravioli. It can also be diced and used in lieu of potatoes in a hash or served atop pizza and flatbread. Butternut squash can be used in baked goods such as pies, bread, and muffins. The seeds of the squash are also popularly roasted, salted, and consumed as a snack food similar to pumpkin seeds. Butternut squash pairs well with sage, thyme, bay leaf, apple, cinnamon, pear, shallots, pecans, butter, cream, feta cheese, ground beef, sausage, and bacon. It will keep 1-2 months when stored in a cool, dark, and dry place. Initially, straight neck winter squashes were not a preferred variety, and the lengthy, curvy winter crooknecks were the squash of choice. 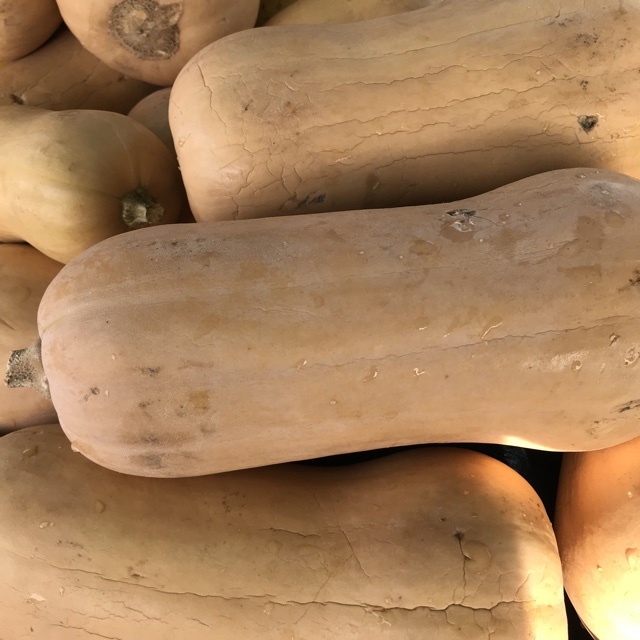 As the commercial shipping and distribution of squash in bulk increased in demand, the need for winter squash that was stackable and compact grew and inspired the development of modern Butternut varieties. This squash is also known for its thin skin, small seed cavity, and dense flesh which gives it the largest amount of flesh per dollar. The name of the original Butternut squash is believed to have come from the squash creator, Charles A. Leggett, who described the Butternut’s flavor as, “smooth as butter and sweet as a nut.” Today the farmland in Massachusetts where the original Butternut squash was developed is now a golf course aptly named, Butternut Farm Golf Club. Early Butternut squashes were believed to have originated in the United States in the 1930’s as a natural outcrossing or mutation of the Canadian crookneck squash. These early Butternuts were problematic as the plants were not dependable in providing consistent production of straight necked squashes. As demand for compact, straight-necked squash increased and bulky crooknecks fell out of fashion, plant breeders worked hard to breed out these inconsistencies. One of the earliest known dependable Butternut varieties was believed to have been created by amateur breeder Charles A. Leggett around 1940, and after much experimentation in the garden, Leggett brought his squash to the Waltham Agricultural Experiment field station where the Waltham family helped to popularize his Butternut squash. Credit for the creation of this early Butternut variety is also given to Professor Robert E. Young of the Massachusetts College of Agriculture, who worked with the original squash from Leggett to create what would come to be known as the Waltham Butternut squash. Today Butternut squash is widely available in grocers and farmers markets in North America, Central America, South America, Europe, Asia, South Africa, Australia, and New Zealand. Restaurants currently purchasing this product as an ingredient for their menu. Recipes that include Butternut Squash. One is easiest, three is harder. People have shared Butternut Squash using the Specialty Produce app for iPhone and Android. Produce Sharing allows you to share your produce discoveries with your neighbors and the world! Is your market carrying green dragon apples? Is a chef doing things with shaved fennel that are out of this world? Pinpoint your location annonymously through the Specialty Produce App and let others know about unique flavors that are around them. Sharer's comments : Butternut Squash spotted at new world oamaru. Sharer's comments : Butternut Squash spotted at Vista Farmers Market. Sharer's comments : Butternut Squash spotted at Marketplace Foods. 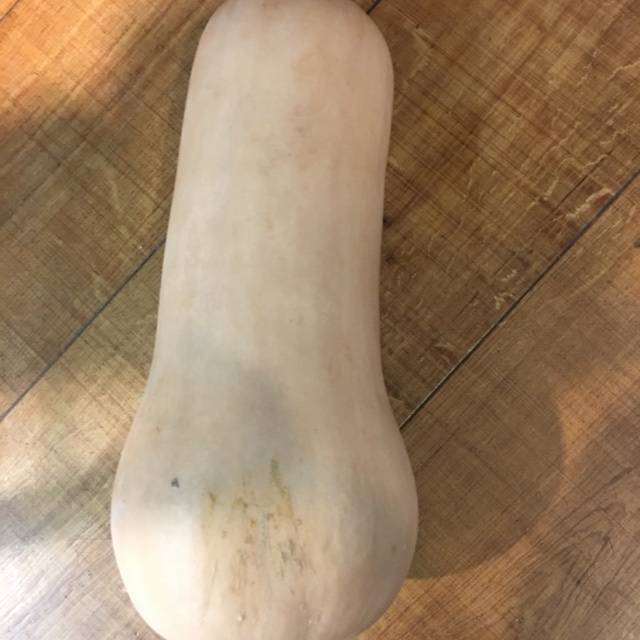 Sharer's comments : Butternut Squash spotted at First Alternative Natural Foods Co-Op.